Congratulations to the 2015 WARL Hall of Fame Inductees. 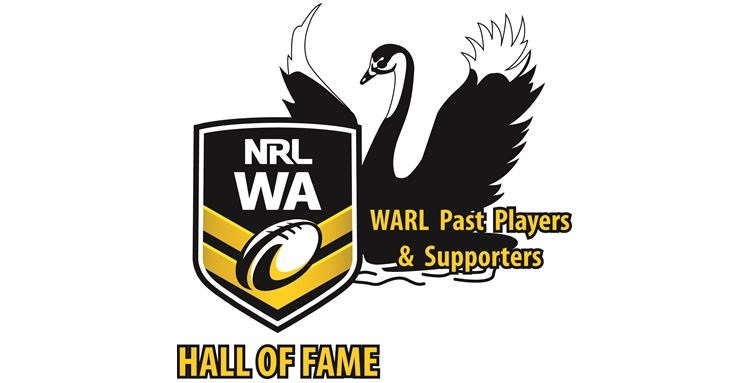 At the recent Past Players Re-union day held at North Beach, Dennis Hawkins (South Perth) and John Thompson (North Beach) were inducted into the prestigious WARL Hall of Fame. Dennis has been involved with rugby league all of his life, originally in the eastern states and then with South Perth. After his playing days, Dennis was involved with the initial ground work and set up of the Goldfields Rugby League competition back in the 70’s. He has been a tireless worker for the South Perth club in just about every capacity and is still heavily involved today. Congratulations Dennis. John Thompson (Crowie) was a North Beach junior and has played, lived and breathed North Beach all of his life. John played juniors and seniors for North Beach and then later filled many different roles for the club in club management and committee. He is still actively involved today and we hope for many years to come. John also has been team manager for a number of state sides as well as serving on the WARL judiciary for many years. Both inductees have dedicated their adult lives to improving Rugby League here in Western Australia and are fitting recipients of this, the ultimate salute.